Trot out on a new adventure with the country Horseback Ride. Be sure to let the ponies take a break at the stream while you watch the opossums, groundhog, and squirrels scurry about. 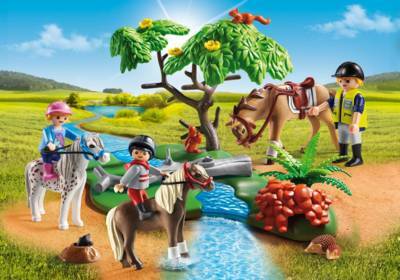 Set includes three figures, three ponies, stream with tree, squirrels, opossums, groundhog, and other accessories.